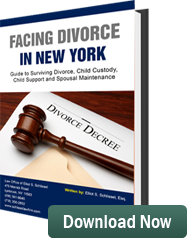 In contested custody disputes, courts often hire a psychologist or a social worker to do a forensic analysis as to which parent would be better suited to be the custodial parent of the children. The forensic evaluator is supposed to look into all aspects of the interaction of the parents and the children and make recommendations in the children’s best interest as to which parent would be more suitable or the better residential custodial parent. Justice Jeffrey Goodstein sitting in the Supreme Court Divorce Part in Nassau County, New York, recently had a case involving issues concerning a forensic evaluator’s report. A father had brought an application to change custody. In the event of the modification of the custody, he also wanted his child support payments eliminated. The attorneys for the wife opposed the father’s application and a hearing was scheduled. The court appointed a forensic evaluator, a psychologist, to do a forensic analysis regarding parenting time and issues concerning custody of the children. The attorney for the husband brought an application to appoint a different forensic evaluator. In reviewing the application by the husband, the court made the following findings. The forensic evaluator who had been appointed, had failed to act with an acceptable standards for a forensic evaluator. This evaluator had not looked into Child Protective Services reports, issues concerning sexual abuse, and the facts and circumstances of the various mental health professionals that had cared for the father and mother and the children during the past few years. The evaluator said she rendered her report based on the interviews she had with the parties. The evaluator admitted she did not perform any psychological tests on the parties. Justice Goodstein found this evaluator had deviated from acceptable standards for forensic evaluations concerning child custody issues. He therefore did not accept the report into evidence and did not consider it in making a decision. However, he did find that although this forensic evaluator’s report would not come into evidence, he still needed the report of a forensic evaluator in order to determine the various issues concerning parenting time and custody presented to him in this case. He therefore had the parties retain a new forensic evaluator. There is controversy as to the need for forensic evaluators in custody cases. The judge should be the ultimate decision maker of who gets custody and who is the more appropriate custodial parent for the children. In this case the parties spent a lot of money on one forensic evaluator and now they are going to have to spend a lot of money on a second one. Hopefully the second evaluator will do a more complete evaluation.